Conflict of Interest at the CTT? Or, in my simple world. ‘Someone pays you money. You then say or do things that you would not have said or done, if they hadn’t.’ The secondary interest doesn’t have to be directly monetary. It could be a promise of a promotion, or an invitation to be chairman of an important committee, or a chance to meet someone famous, or watch a world cup final, or suchlike. However, for the sake of keeping things simple, we are talking about money here. We are talking about pharmaceutical companies paying money to medical ‘experts’, who may then say or do things that they would not otherwise have said or done. The first problem is, thus. How do you know they would not have said or done it anyway? If the dairy industry paid me a million pounds to say ‘Dairy foods do not cause heart disease.’ This would be a bonus. Because it is what I believe, it is what I say already, and you really don’t need to pay me a million pounds to say it. [Although I am open to offers]. However, if I was paid a million pounds and I then said ‘dairy foods to do not cause heart disease’, and you discovered that the dairy industry had paid me a million pounds, what would you think? I know exactly what you would think. ‘I trusted him, now it turns out he is just lining his wallet, the same as everyone else.’ Some would state this more vehemently than others. However, any reputation that I have would never be the same again. There would always be that loss of trust. That doubt. The people we admire and trust the most do not take backhanders. Pity. For many years, pharmaceutical companies paid doctors ‘honoraria’, which is just a posh word for money. The doctors happily stuffed said honoraria into their bank balances, and no-one seemed much bothered. You did not need to declare any financial interests, and the only limitation on how much you got paid was your perceived value to the companies. 4. Your position on Guideline committees. Can you play a key role in writing the guidelines that other doctors have to follow e.g. drug x a must be used first line in all patients with condition y. These things are, of course, all linked. As an expert you start on rung one and two, and then move onto three and four. Your progress up this ladder requires very close links with the industry. You cannot influence other doctors if you haven’t done research, and it is very difficult to do research without industry funding. If not impossible. At a certain point in the process, you become exceedingly important to the industry. In fact there are companies who support the pharmaceutical industry whose entire raison d’etre is to manage Key Opinion Leaders (KOLs). The more you increase bottom line performance, the more you are worth, and the more you get paid. Strangely, some left-wing commies a.k.a ‘people’ began to object to this cosy relationship. A bit too much potential for the situation whereby… a primary interest will be unduly influenced by a secondary interest. ‘While we are at this: I have often wanted to ask the purpose of revealing possible/probable conflicts of interest. Just what are we supposed to do with that editorial caveat? Does it mean the data might be suspect? If the editors want us to know it is suspect then why do they publish it? If it means we should interpret the data with caution, can someone tell me how one is to be cautious. Does it mean one believes none of it or does one believe some of it? If the latter then which part do we believe and/or which do we not believe. Just how are we supposed to judge these things, after having been warned to beware? Indeed, what are we supposed to do? 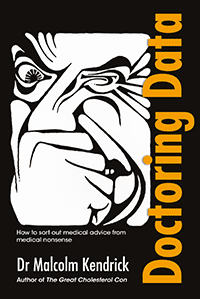 The other problem is that, whilst doctors are meant to declare their conflicts, quite often they do not. Here is an addendum taken from the Journal of the American Medical Association. As you can see, Paul Ridker had board membership with Merck Sharp and Dohme, and simply forgot the mention it. The authors’ collective punishment? Well, you have just seen it. Essentially, there is no punishment. A bit of momentary embarrassment, soon forgotten. [Although not by everybody, guys]. However, the steady pressure for doctors to provide disclosures of interest has had one major impact. It has made it a bloody site more difficult to know where the conflicts of interest might actually lie. For it has been decreed….I don’t know who decreed, or agreed it, that if you are paid money directly by a pharmaceutical company, or say a PR company working for the industry, you have a financial conflict of interest that you must/should declare. However, if you work for an organisation such as the Cleveland Clinic, or the Clinical Trials Research Unit (CTSU) in Oxford things are different. The clinic is paid money by the industry, and then the clinic pays you. This means that you are not conflicted in any way. You need not declare anything. Why? I don’t know who stated that this is acceptable. As with most things in this area we are in a shadow world full of ghostly apparitions that elude your grasp. ‘They said it was fine.’ And who, exactly, are they. There is no oversight committee here, no investigations carried out, no rulebook, no punishment. Just a very woolly gentlemen’s agreement amongst the great and the good of medical research. However, because it has been agreed, in some mysterious way, that ‘second hand’ payments are fine, it means that those working at the Cleveland Clinic, the CTSU, and suchlike, feel able to state that they have no financial conflicts – at all. Even if the organisation they work for earns hundreds of millions, or billions, in industry funding. corresponding amount might be donated to a specific charity. A corresponding amount to a specific charity. What charity? Push away, but I don’t expect you will get very far. Anyway, we are now supposed to believe that highly qualified and very influential KOLs, who work at the CTSU in Oxford, carry out work on behalf pharmaceutical companies for no payment, whatsoever. This is just charity work. Helping impoverished pharmaceutical companies is the same, really, as helping starving orphans in Africa. Strangely, it appears that the CTSU doesn’t mind in the least that their staff are spending large chunks of their professional life helping pharmaceutical companies – out of the goodness of their hearts. The CTSU gets nothing; the pharmaceutical companies get nothing, other than a warm glow in their hearts. Meanwhile a ‘specific charity’ is doing rather well. Whatever that specific charity may be? Of course the CTSU itself does rather well from the industry. Just for carrying out one of their many studies, REVERSE, they received £96million ($155million) from Merck Sharp and Dohme. Yet, despite the huge sums of industry money sloshing about in the CTSU there are absolutely no conflicts of interest going on here. We are told this by none other than the CTSU itself. No-one is paid money directly by the industry in any way. So that is fine. As a sort of footnote to this blog, you may be interested to know that the Cholesterol Treatment Triallists Collaboration (CTT) in Oxford is probably the most influential organisation in directing the management of CV disease around the world. The ACC/AHA guidelines launched last year in the US are based on the latest CTT meta-analysis; as are the latest NICE guidelines in the UK. The Cochrane Collaboration, which is also highly influential world-wide, changed their guidance on the use of statins in primary prevention, based on the CTT meta-analysis. 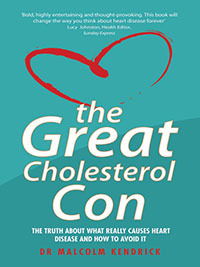 This entry was posted in Cholesterol & Statins, Conflicts of Interest and tagged American Medical Association, Amgen, cholesterol, Cleveland Clinic, Conflict of Interest, CTSU, CTT, Dan Mintze, Edwards, Eli Lilly, GlaxoSmithKline, Hodder Arnold Health Press, JAMA, KOL, LDL, MAP, Merck Sharp & Dohme, NICE, Novartis, Novo Nordisk, NuPathe, Paul Ridker, Pfizer, Roche on March 29, 2014 by Dr. Malcolm Kendrick. Dr Kendrick cannot provide individual patient advice over the Internet. UK General Medical Council regulations are clear that to do so would be a breach of medical standards that could result in disciplinary proceedings.